called to awake me with silence. eleven dollars for a new number. five. The bank opens at ten a.m.
there are rainbows in me yet. Carol Tarlen writes poems that are both political and human. She writes about the struggles of living a precarious life- little money, rented houses, unable to pay bills, children to be fed, the rigor and demands of earning a living. Tarlen brings together the political and human realities of everyday life in a way that is unique, profound and deeply affecting. Carol Tarlen’s only published book of poetry is titled Every day is an Act of Resistance. The book was published after her death in 2004. A blog exploring her life and work is here. 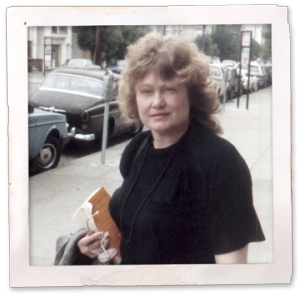 Some of her poems are published online here at Counterpunch. A perspective on her life by a friend and fellow poet is here.